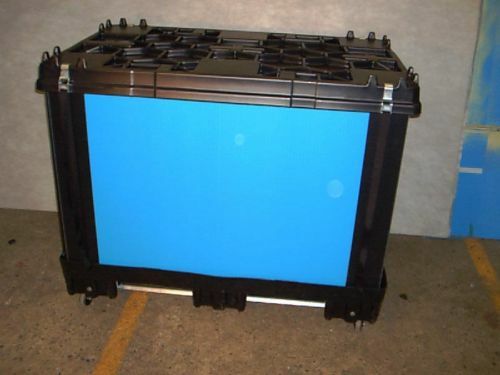 At Carter Associates, our goal is to provide our customers with all of the corrugated plastic dunnage, shipping totes, and reusable shipping containers that they need. The go-to source for a wide range of industries, our products have earned a reputation for their durability, longevity, convenience, and cost-effectiveness. Whether you’re looking to reassess your current internal shipping routines or you’re on the lookout for a durable, long-lasting storage solution, you can rest assured: we’ve got you covered. In today’s post, we’re going to look at a few of our most popular products. Carter Associates is steadfastly committed to offering the industry’s most diverse range of reusable shipping containers, corrugated plastic totes, plastic sleeves, thermoformed pallets, and more. No matter what market you’re in, we’re confident that you’ll find our products durable, long-lasting, and – best of all – cost-efficient. Whether you’re moving your goods from point A to point B in a massive manufacturing facility or you just need a secure, long-term storage solution, you can be certain that our shipping products are up to the task. In today’s post, we’re going to take a closer look at a few of the items that we manufacture.